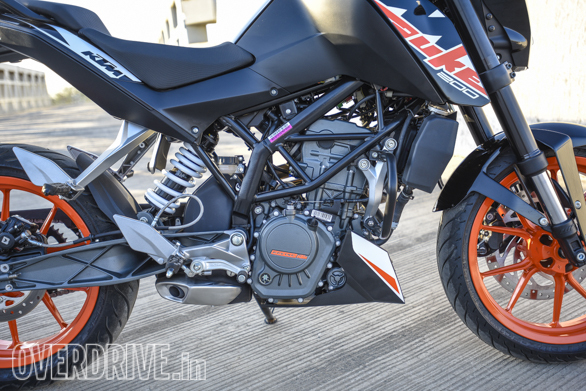 KTM India's decision to keep the old KTM 200 Duke around as the entry point to the KTM Duke range is a shrewd one. 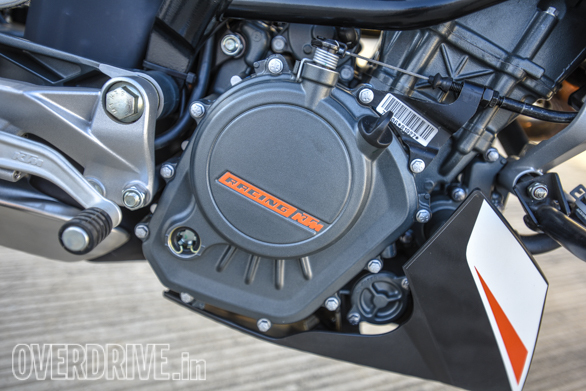 They've managed to keep the price at Rs 1.43 lakh ex-Delhi while freshening up the motorcycle with new graphics and updating the engine to BS-IV levels. 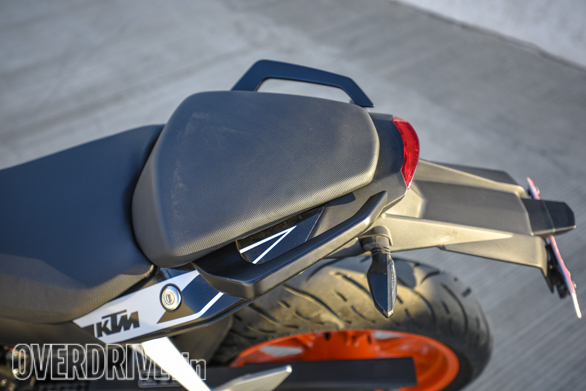 This does bring 5kg extra in weight, but KTM didn't need to do the side-slung exhaust and therefore visually, nothing has changed. 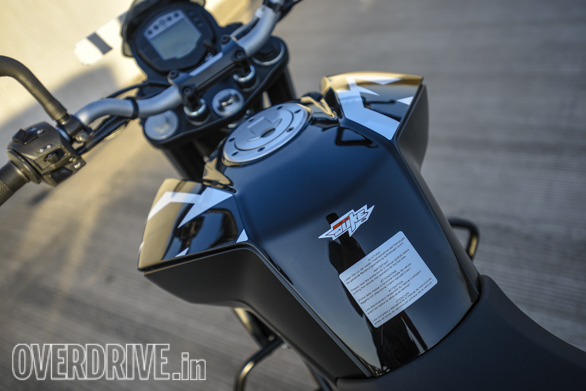 And when you ride the new bike, good feelings flood in. 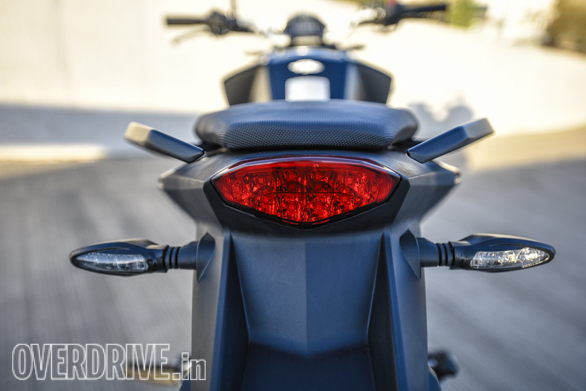 The 200 Duke feels raw and edgy in a way that makes the new Duke 250 feel mature and grown-up. In that sense, the 200 feels more rough and ready, and that's not a bad thing in my book. The 25PS engine still needs to be revved all the way to the redline for maximum performance and it loves it. The extra roar from the single, as you close in on the redline, is still special and this remains a rather likeable little motorcycle. 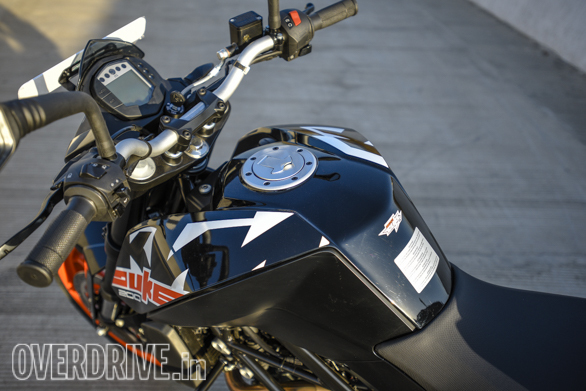 However, the flip side is that the 200 Duke feels frantic and that's a feel that we know is not for everyone. Under the bodywork is the same old frame as before. That means the feel in corners as well as over the bumps is something you are already familiar with. 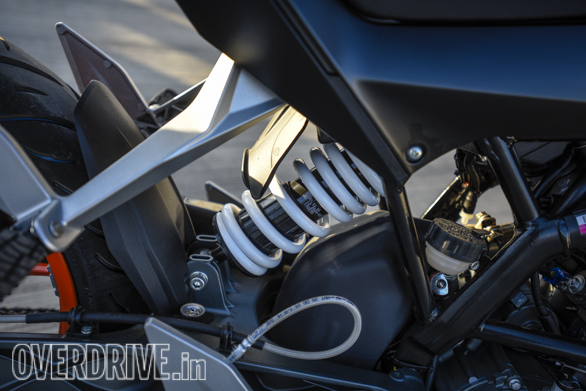 The 200 Duke peels into corners with urgency, and the MRFs provide enough grip for the 200 to feel secure and planted. 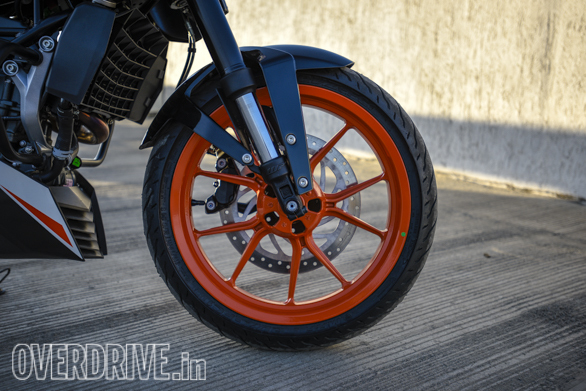 The 300mm front disc brake could have had more bite but it has enough power to slow the 200 down. You do wish the lever effort was lower though. 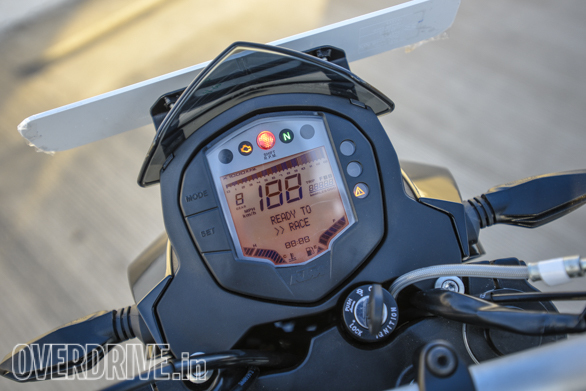 Ride quality is acceptable but sporty-stiff, and only when you ride the new 250 will you notice the extra absorption that the new forks are capable of. 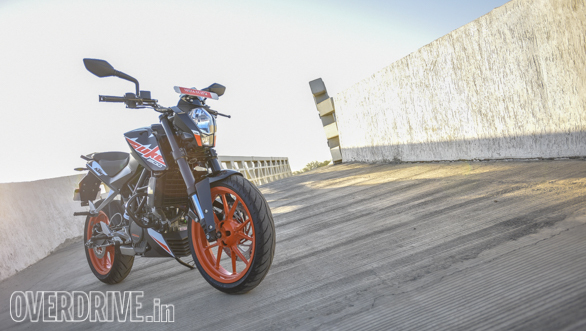 The 2017 KTM 200 Duke is still an emotive little motorcycle, and you cannot help but smile when you ride it. And if you like your motorcycles angry and frantic, this is a very good place to start looking. However, the game, as it was, has moved on. 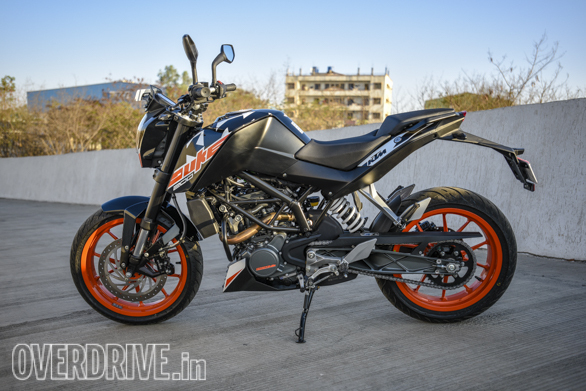 The KTM 200 Duke is priced at Rs 1.43 lakh ex-Delhi, and adding Rs 30,000 to that budget will bring you the new KTM 250 Duke. It's a budget stretch that I believe you really should explore.